The poems and songs of the Gruuthuse Manuscript originated in Bruges around 1400, and the collection is named after the later owner, Lodewijk van Gruuthuse. The songs form the most well-known part of the collection: love songs, bawdy songs and drinking songs. The Gruuthuse Manuscript contains the largest collection of Dutch language songs from the medieval period, and it is the largest collection of songs with music notation. The form of the songs also attests to the fact that these songs were intended for connoisseurs. The poet uses formes fixes, the canonized forms of French songs of the late medieval times: ballades, rondeaus and virelais, and the wide variety of the forms used is remarkable. Instrumentalists have been around all over Europe during the 15th century, but musical manuscripts unambiguously showing a repertoire for instrumental ensembles from that period are scarce. The instrumental repertoire on this CD contains arrangements and polyphonic ensemble pieces from about 1450-70. The arrangements are either instrumental versions based on pre-existing polyphonic models or arranged monophonic tenors. 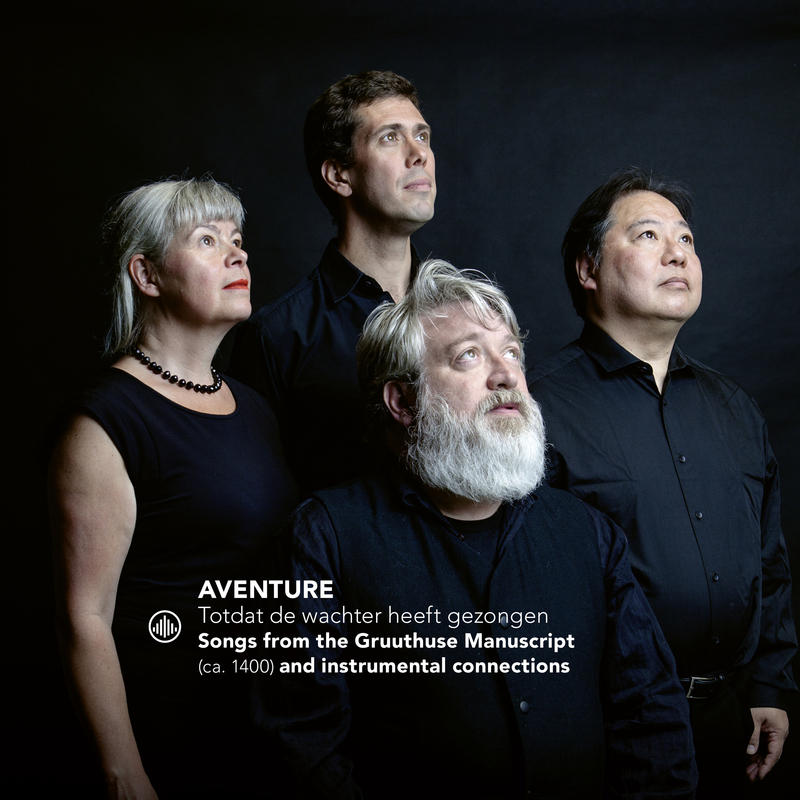 This week on NPO Radio 4 in Passaggio in their window, the new album 'Totdat de wachter heeft gezongen' of Aventure - ensemble voor middeleeuwse muziek! Medieval music is like archeology, carefully reconstructed and also the imagination can do its magic! You can listen to this through this link. "Out now: Totdat de wachter heeft gezongen, songs from the Gruuthuse manuscript"
"Beautifully arranged pieces that are played in an organic way. Especially in the top layer of the melody we hear sometimes the virtuoso passages that enhance the composition. Great how these wonderful musicians put this old music into the present with such an exciting result."